Kym Kane joined the Merit team as a Project Administrative Assistant in 2012. Kym brings to Merit Construction over seventeen years of experience in the mechanical construction industry where she served in various capacities including of Vice President (Nashville office) & Contract Administrator for Stanley Jones Corporation, a nationally recognized firm. Kym has been active in many professional construction trade associations throughout her career. 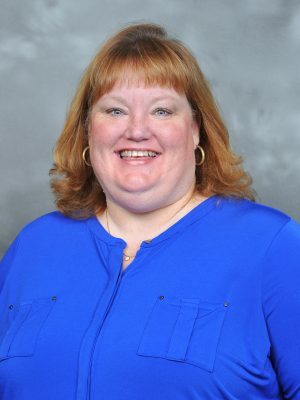 She was the “first” female board member elected to serve for both the Middle Tennessee Associated Builders and Contractors (ABC) Chapter as well as the Middle Tennessee Associated General Contractors (AGC) Chapter. Kym served on the State Board of AGC as well as President of the Middle TN ABC Chapter in 2002. She was active member for many years in the Nashville Chapter of National Association of Women in Construction (NAWIC) and served in several officer positions. Additionally Kym served as an intern in the Governmental Affairs department at ABC in Washington, D.C.
Kym holds a Bachelor of Science degree from Vanderbilt University as well as coursework from Masters of Business Administration from Tennessee State University. Kym has continued taking other graduate coursework at Belmont University and the University of Tennessee at Martin. Kym is a native of West Tennessee but resided in Nashville for several years and most recently moved to Knoxville in 2012. She and her husband, R.K., reside in Lenoir City and are parents of three children. They are active members at Central United Methodist Church there as well. In her spare time, Kym enjoys traveling, reading and cooking.